Breakfast is a critical meal, but it’s easy to skip out on it in the rush of the morning! It may seem like no big deal, but eating breakfast makes a big difference for our bodies. Our bodies are like car engines that run 24/7, and calories are the energy that serve as our fuel. By eating breakfast, we set our body’s metabolic rate higher, so we actually burn more calories throughout the day. Kind of like setting a car engine at a higher RPM in the morning — it burns more fuel than if you set it at a lower RPM. 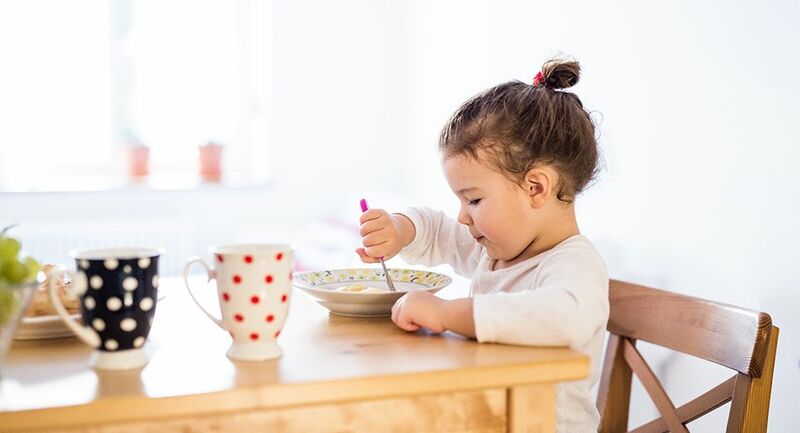 Children need a balanced breakfast to give them energy to perform well throughout the day. Standardized tests, like the SAT and ACT, require students to stay in a classroom for an extended amount of time. Eating breakfast can help them focus on the test instead of their growling stomach! These easy breakfast burritos are freezer-friendly, so they can be made ahead of time and stored in the freezer until you need them. But if you need to make them the day-of and want to save a little time, simplify the recipe by nixing the cooked veggies and sausage and instead add fresh sliced tomato and avocado before rolling up. Overnight oats are easy to make, packed with protein, and delicious! Recipes can be easily customized to suit your fancy, but we like this one because it’s simple. A classic easy breakfast that can be eaten on the go! Swap peanut butter for almond or cashew butter, if you prefer. You can also add cinnamon, granola, apple, coconut flakes, and dark chocolate chips to spice it up a bit. Eat something within 30 minutes of waking up, and never go more than three hours without eating a healthy snack like fruit or nuts. Doing this helps you avoid “starvation eating” at meal time and gives you a consistent supply of energy throughout the day! Chad Richard spent 20 years leading Marketing & Strategy for some of the world's leading brands. He is now the Founder of Trailmap for Life, a non-profit organization dedicated to helping parents prepare their teens for life. He and his wife, Carrie, attend Calvary Chapel Boca Raton along with their two children.